Crowe said all four have shown one obvious weakness at some point, but not more than that. Former New Zealand captain Martin Crowe has said Virat Kohli, Joe Root, Steven Smith and Kane Williamson are the new “fabulous four” of Test Cricket but will go through “teething problems” before shooting for the stars. “Prior to hitting peak period for a Test batsman, between age 24 and 32, the young player will go through teething problems, highs and lows, swings of fortune, before shooting for the stars. If he is destined, he will learn quickly and climb the ladder to become the best of his time,” he said in his column on the ‘ESPNcricinfo’ website. Noting that all four have had a period of extreme failure, Crowe said they have the hunger to go on to be the best. Detailing Kohli’s career, Crowe said he started off on a high in one-dayers to become the heir apparent to Tendulkar. “Then disaster struck. In his last ten innings he has hit absolute rock bottom, with a need to assess and start again. Despite a solid technique with no obvious weakness – which produced centuries in Australia, South Africa and New Zealand – he has found the late-swinging ball in England to be his nemesis. In short, his footwork needs to be more decisive in getting close to the ball, shutting down late movement,” the New Zealand skipper said. He said all four have shown one obvious weakness at some point, but not more than that. “They have been able to overcome problems, with a permanent batting position locked down being the key. Only Kohli has shown a need to correct a glaring weakness exposed at this stage of development,” he said. Noting that all four have similar talent, hunger, ambition and responsibility, Crowe predicted that the four will go on to captain their respective countries. “All four will reach peak form in a few years’ time, and then the real battle will commence as to who will be the No. 1 batsman in the world,” he said. “My sense is that they will all take turns as the No. 1 Test batsman, while Kohli already has the one-day mantle in his sights. 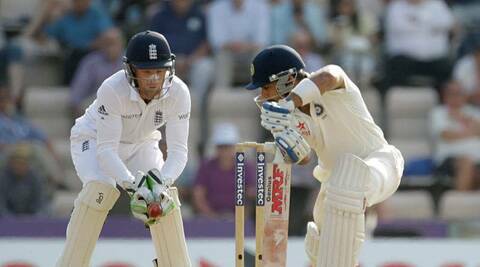 Maybe it is his prowess in, and preference for, the limited-over formats that will hold him back in Tests? Maintaining one’s game while playing three different formats is the most challenging aspect confronting the modern-day batsman,” he opined.